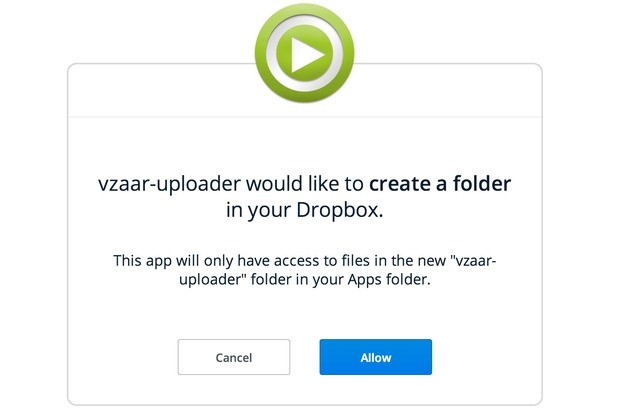 You can now upload your videos to vzaar using Dropbox. Just pop your videos into your Dropbox folder and that’s it; vzaar will automatically pull the videos into your account for you. To enable the dropbox uploader go to Settings > Third Party & API and switch "Dropbox Uploader" to "ON"
As soon as you switch it to "ON" you will be redirected to a dropbox page which will ask you if you want to allow the application "vzaar-uploader" to create a folder in your Dropbox and give our application access to it. 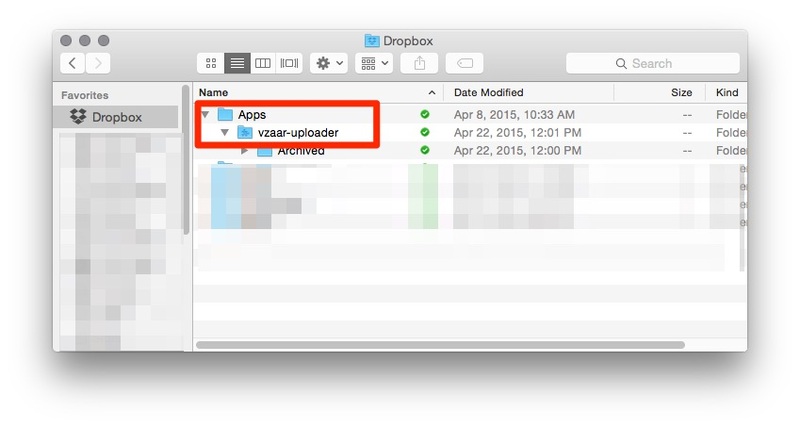 At this point you should see a folder in dropbox under "Apps" called "vzaar-uploader". You can now add any supported file to this folder, and it will be processed by our backend servers once they are fully uploaded to Dropbox. Once the files have been processed/encoded on our end you will get a confirmation email to let you know the status of your videos. The dropbox file will be moved, by default, to a sub-folder called "Archived", but you can also choose to have your files deleted from dropbox once they have been processed if you wish. Note: If your Dropbox account is full, we won't be able to move your files to the "Archived" folder. In these instances, your Dropbox uploader will be automatically disabled and you'll need to clear some space before re-enabling it in your vzaar settings. Don't worry though, we'll drop you an email to make sure you're aware if this happens!